For those who know me, I've been using a technique called mapping to compete against other companies for a considerable amount of time. My immediate thought was that he was asking how did I solve that problem. It quickly transpired that the question he was asking was 'How did I do that mapping thing'. It was shortly after this that I discovered that something I thought everyone was doing turned out be to something that very few people did. Mapping is a powerful technique in my opinion for everything from project to risk management, from strategy to gameplay, from organisation to culture, from scenario analysis to comparison. It might not be everyone's cup of tea but I'd always recommend that you give it a try. I've provided three links, a keynote (OSCON), the slides from a 3 hour tutorial (OSCON) and a simple step guide to get started. For a step guide, start here. Also, if you do find it useful, don't forget to say thanks to Liam Maxwell (without whom, I'd have continued thinking everyone was doing this and probably not have said quite so much) and also say thanks to my partner in crime, James Duncan. Do remember this work is provided under creative commons share alike. These maps are often nicknamed 'Wardley Maps' which I do appreciate. 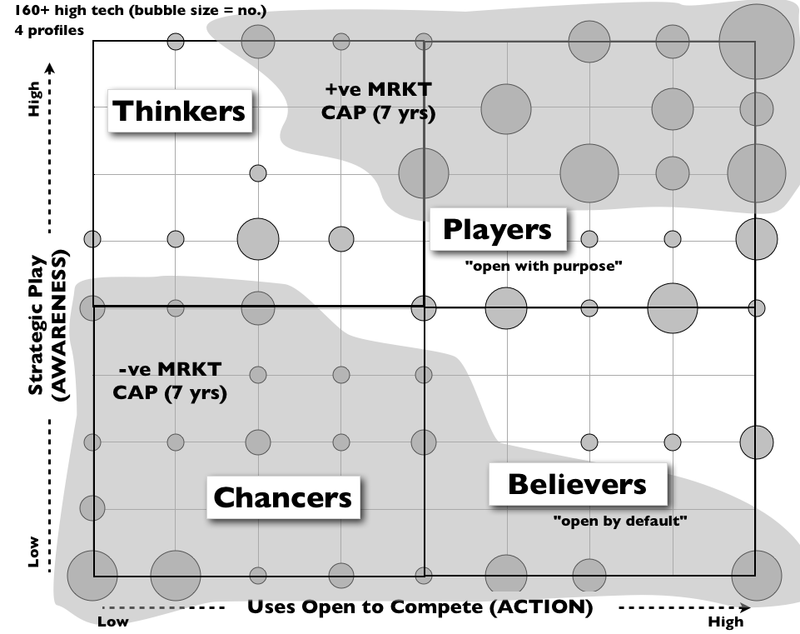 * Note, size of the bubble represents number of companies occupying that position. * The data for figure 1 is not CC licensed.